Customize a Sip, Sip Hooray! 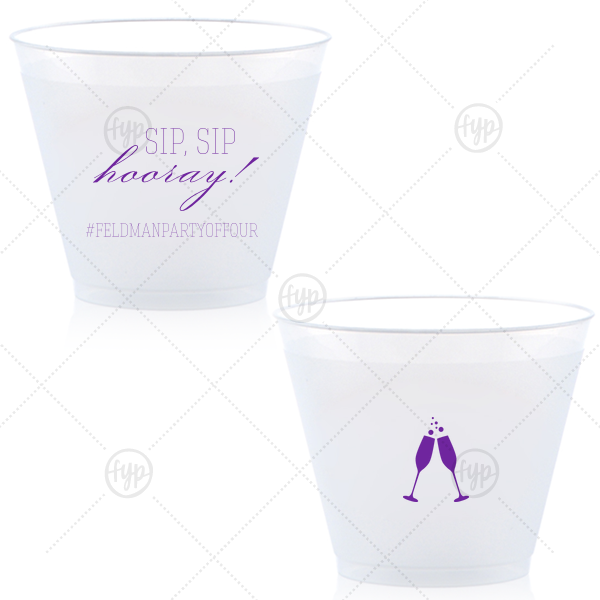 plastic cup for a festive and personalized touch to your wedding bar. Add your wedding hashtag and invite guests to share their photos of your big day on social media.